Announcement : : : CURRENT TURNAROUND TIME FOR INVITATION ORDERS : : : Within 24 hours! Once I receive your order and all necessary information, your design will be created and emailed to you in the specified time frame above. 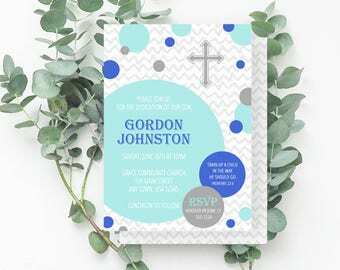 : : : CURRENT TURNAROUND TIME FOR INVITATION ORDERS : : : Within 24 hours! 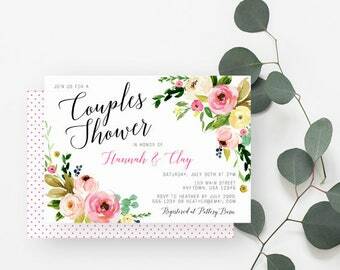 Thank you for customizing the invitation to match my color scheme. 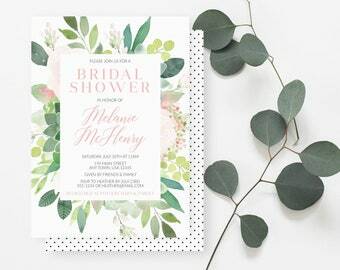 The invitations & matching favor tags are perfect. Thanks so much! I’ll definitely order again. 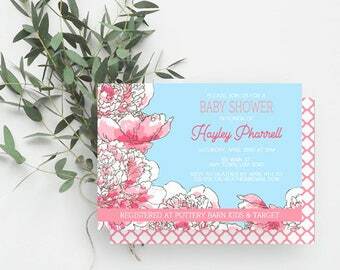 Invitations are positively adorable. Seller was incredibly lovely to work with. paper with heart. experience the difference! Hi there! Thank you for stopping by my Etsy shop Spotted Gum Design! 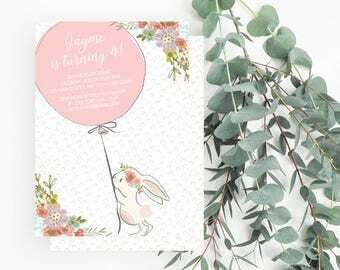 Here you will find "paper with heart" which means that I bring plain paper to life through my whimsical graphic designs to create gorgeous paper products to brighten up your life and add personality to your events. 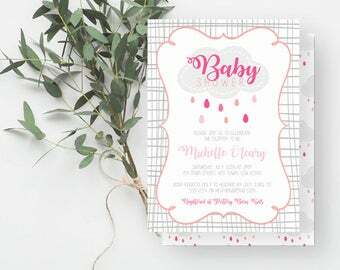 Items in my shop include invitations for baby showers, weddings and parties plus birth announcements, gift tags and also wall art. Most of my items can be personalized for you with names, dates etc. and all are offered in a variety of printable file types. 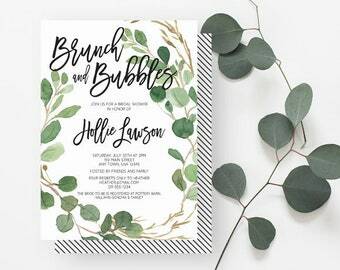 Offering items in a "downloadable" or "print at home" format means that you can have beautiful, personalized printed items for your event or your home at a fraction of what these type of items typically cost. My name is Heather and I live in Maryland, USA with my husband and our daughter. We share our home with four cats and one dog! I love where we live since it is halfway between Washington DC and Baltimore, MD and it's really cool to be so close to two such vibrant and culturally interesting cities! I first started designing invitations back in 2006 when I was planning my -- now 11-year old -- daughter's first birthday party. 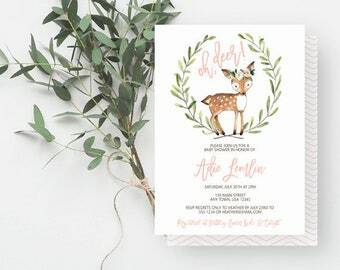 I was having a really hard time finding the perfect invitations to coordinate with the theme that I had chosen, so I decided to take matters into my own hands. 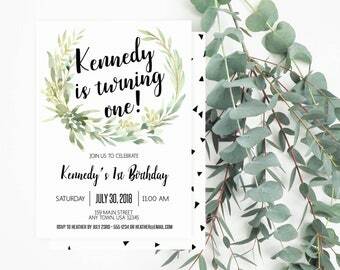 I was thrilled with the results and it didn't take long before I was helping friends and family with their party planning needs. My small business took off from there and I'm so proud of how far it has come! 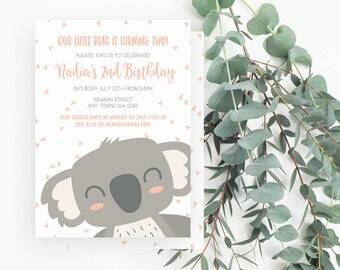 I originally opened the Etsy shop back in 2011 as a way to earn part-time income from home as a WAHM, but now that my daughter is in middle school, I am investing more time and energy into Spotted Gum Design in order to grow it into a more full-time job. 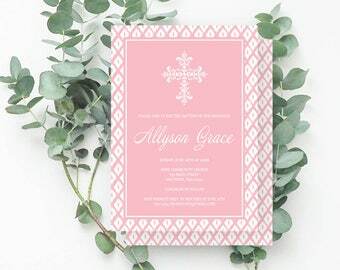 My graphic design style is fresh and modern; I'm inspired by everything around me from the beautiful colors and textures in the world outside my window to something as simple as a bold napkin with a cheerful pattern! I love the freedom and creativity that the Etsy shop has brought to my life and I feel like I have found true fulfilment in working with customers to make their ideas come to life! I'm happy to work on a custom design for you! All of my listings have a link you can click to request a custom order or you can just send me an Etsy convo. Make sure you don't leave without hitting the "favorite shop" button to add my store to your Etsy favorites list. 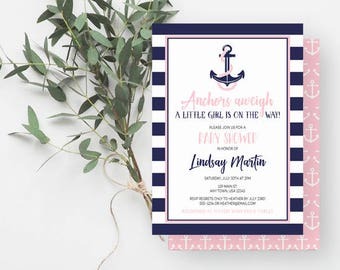 It's a great way to stay connected with me and get updates on new designs and specials, plus it makes it simple to find me again in your favorites list next time you are shopping for invitations or other graphic design items! Hello. Welcome to Spotted Gum Design! 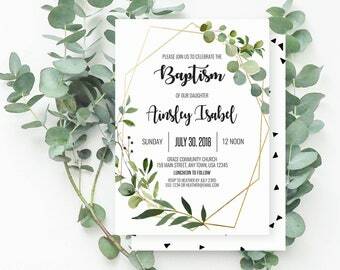 ::Invitations:: No refunds will be given once your invitation has been typeset and the files have been sent to you via email. We can't stress enough how important it is that you check your proof carefully for accuracy. We cannot be held responsible for mistakes on printed items including spelling, grammar or wording after you've approved the file. Check, check and re-check your files before printing as we will not reimburse your printing costs. However, we are happy to revise your design at no additional cost should the need arise. Payments are due in full via Paypal or Etsy Direct Checkout when completing checkout. If you're purchasing a digital product, there are *no* shipping fees. :) For all other printed materials, fees start at $6.45 for USPS Priority Mail services (final cost will depend on the quantity of printed items). Due to the variation in calibration of each person's computer monitor, printed materials may vary from what you see on the screen. Colors vary from monitor to monitor (and device to device) and can look different from the printed version. 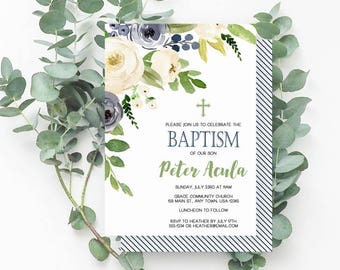 I strongly recommend printing a sample of the invitation before printing your full quantity. The most current turnaround time for Spotted Gum Design will be listed in the Announcement section (near the top of the page). Unless otherwise stated, from the time you place your order and submit *all* required info for processing, your typeset proof will be sent to you via email in 24 hours. 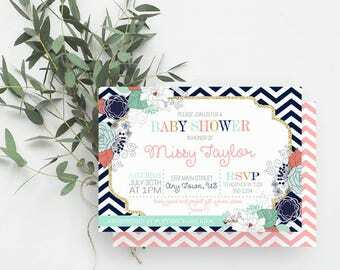 Do you offer printed invitations? Yes, I sure do! More info will be posted in my shop in the coming weeks. Until then, please send me an Etsy Convo for more details. Help! I'm not sure which envelope size I need! 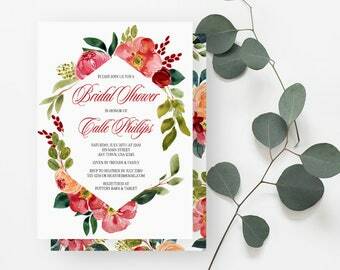 You will receive a professionally typeset invitation (single-sided) sent to you as a JPG and/or PDF file for printing. 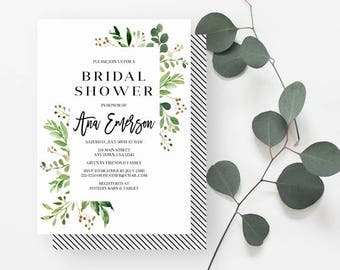 To order an invitation, all you need to do is select the invitation size and file type from the drop down menus in the listing, then click the add to cart button. 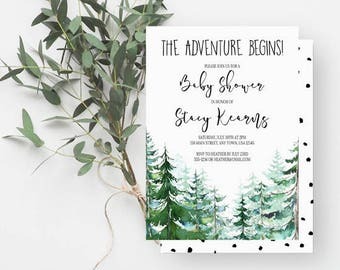 You'll then be taken to your Etsy cart, and you can enter your wording details in the "Notes to Seller" section during checkout (or you can send it to me via Etsy Convo or email to spottedgumdesign@gmail.com). 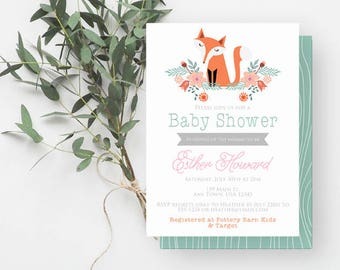 Once your order and your wording details are received, the invitation will be typeset with your information. The completed design will then be sent as a JPG and/or PDF file to you via email. 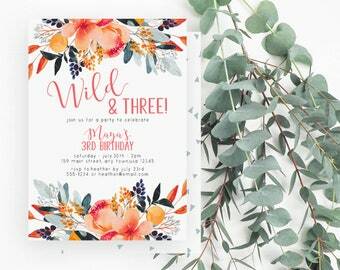 What paper type do you recommend for printing? I recommend a nice, heavyweight white cardstock that's 110lbs or greater. No refunds will be given once your invitation has been typeset and the files have been sent to you via email. Your satisfaction is our top priority! Please contact us if you are dissatisfied with your order for any reason. Please only leave feedback based on your experience with Spotted Gum Design and not the post office, your printer or the Etsy app/Etsy site. We love to help and live to make your experience a great one!